We’ve already driven the Audi A3 Sportback e-tron on the launch event, but a drive for just a couple of hours is very different to living with a plug-in hybrid for a week, so after a longer period with the car, has the A3 e-tron gone up or down in our estimation? 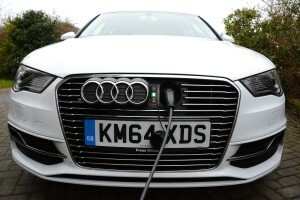 Audi may have been slow to join the electric car party, but it seems that the wait may have been worth it, because the A3 e-tron is a very accomplished all-round proposition, with the advantage of all-electric driving for up to 30 miles, and a 400-mile plus range on the petrol engine – so there’s none of the range limitations of most pure electric cars. 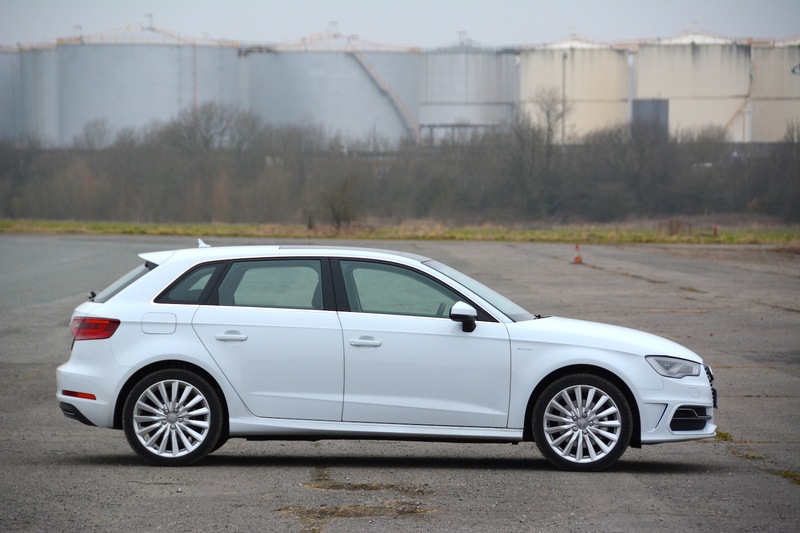 This is basically a standard Audi A3 with a 1.4 TFSI engine – plus an electric motor and battery. 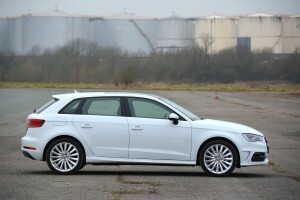 So mechanically the e-tron does everything a standard Audi A3 does – and it also offers all-electric running. Compared to conventional hybrids, you can plug the A3 in to your domestic electricity supply, providing a much greater all-electric range. The interior is also virtually identical to the standard A3 – which means an upmarket environment thanks to the uncluttered dashboard and high quality materials – in other words, the Audi ‘feel-good factor’. We like the standard Audi A3 with the excellent 1.4 TFSI engine – because it feels light, agile and refined. The benefit of adding an electric motor and battery is the resultant zero emission driving capability. The downside is the extra weight – over 300kg. In the typical motorist’s day-to-day driving, the extra weight doesn’t make a huge difference. But if you do want to have some fun down twisting B-roads, then it does impact upon the normally agile handling. As well as zero tailpipe emissions, electric driving also means lots of torque (which can easily result in wheelspin out of wet junctions). 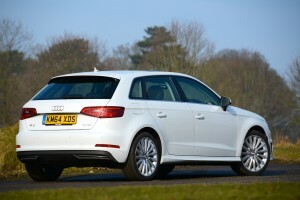 And of course in EV mode, the A3 is virtually silent. The overall experience in electric mode is sufficiently enjoyable to make you want more electric range when the battery becomes depleted – but of course that would make the car too expensive. You can choose between four driving modes which in summary equate to EV, hybrid, hybrid hold and hybrid charge. The ideal is that zero tailpipe emission, pure EV mode is used in urban areas, and the petrol engine used on motorways. You also get Audi Drive Select, which offers four options: Comfort, Auto, Dynamic, and Individual. If you want to tailor the individual setting then you only have the option of adjusting the steering, and choosing between just comfort or dynamic; so overall there’s not much difference between any of these settings. There’s also D or S for the automatic transmission – pull the lever backwards to swap between the two. S results in a greater degree of regenerative braking. You can also change gear manually by moving the gear selector to the left and using the steering wheel-mounted paddles. The 6-speed auto can be a bit revvy when accelerating enthusiastically, but using the gears manually improves things. 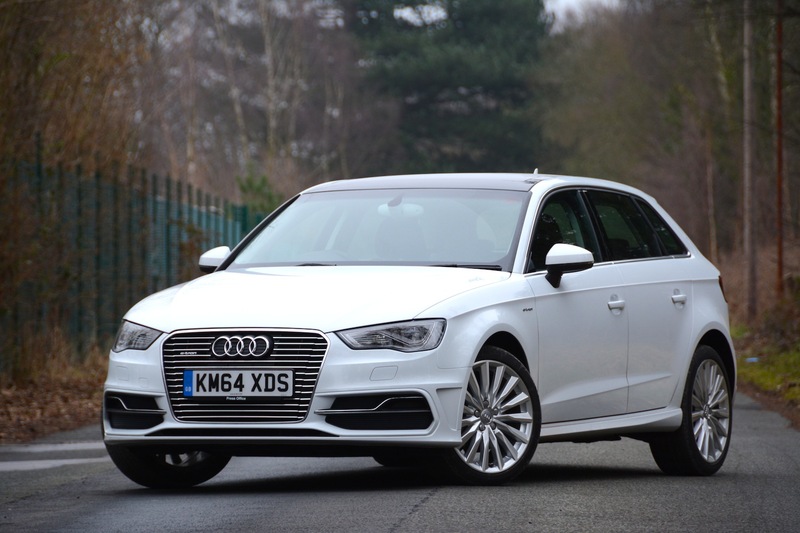 Today car buyers are faced with a range of powertrain technology and fuel options. 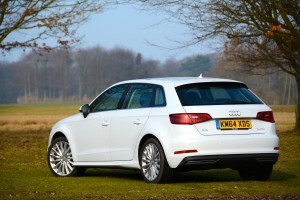 Even the Audi A3 can be specified as a petrol, diesel or plug-in hybrid. Diesel is ideal for drivers who cover many miles on motorways, petrol is ideal for drivers who cover fewer miles, and the plug-in hybrid is ideal for drivers who regularly drive up to 30 miles between recharges, as well as driving occasional longer distances. So if your driving cycles don’t suit a plug-in hybrid, you don’t have to buy one. But if you do drive up to 30 miles between recharges on a regular basis, then you’ll enjoy the all-electric, zero tailpipe emissions capability – and you’ll also be relaxed to know that you’ll be able to drive much longer distances if needed. A big issue surrounding plug-in hybrids is the official NEDC fuel economy test. 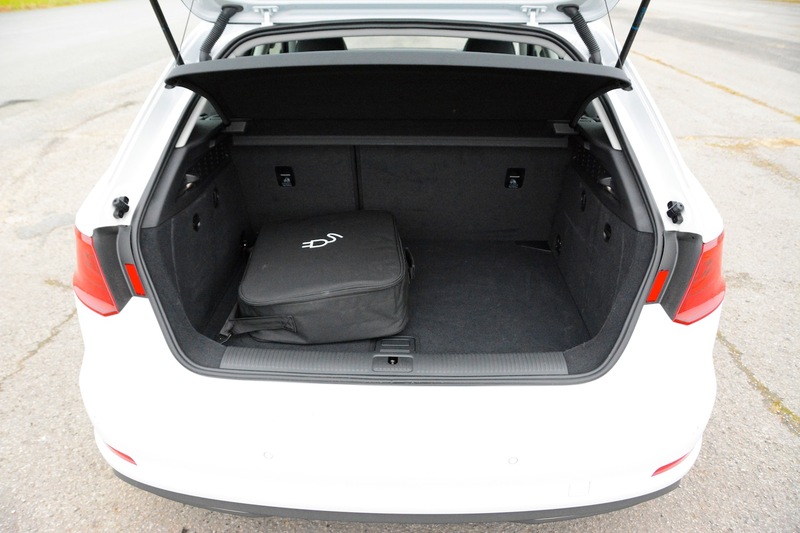 The e-tron’s official economy figure of 177mpg is for a very specific low load driving cycle over a very short distance. If your driving is similar to this cycle then you may come close to 177mpg in real life, but the more miles you drive on petrol rather than electric means that the fuel economy will get worse and worse. So the real-life fuel economy that a potential e-tron owner will experience completely depends upon how far the car is driven on electric or petrol power. 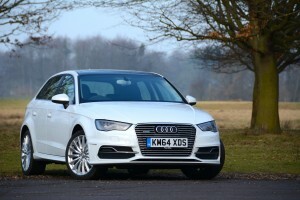 Over a week comprised of mixed driving – urban and motorways – we averaged 58.4mpg. If we had driven more short journeys on electric power we could have achieved over 100mpg. If on the other hand we had driven more motorway miles on the petrol engine, we still would have enjoyed a respectable outcome – at 70mph using just the petrol engine the A3 averaged 46.0mpg. The Audi A3 Sportback e-tron costs £34,950, or £29,950 after the UK government £5,000 Plug in Car Grant. As a comparison the 1.4 TFSI Sport ACT costs £22,745 – so even after the grant, the e-tron still costs £7,205 more. However this could be offset by the attractive 5% benefit in kind company car tax. 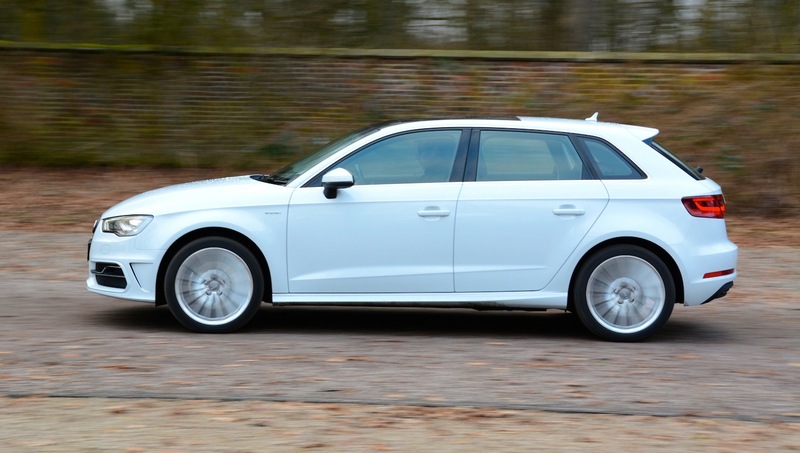 The Audi A3 Sportback e-tron has 17-inch wheels as standard, with 18-inch wheels as options (as fitted to our test car, when the official emissions rise from 37g/km CO2 to 39g/km, and fuel economy drops from 176.6mpg to 166.2mpg). A wide range of other petrol and diesel A3 models are available in three or five door body styles, plus a cabriolet. The official industry forecasts show that the vast majority of cars will feature some form of plug-in capability over the next 10-20 years. There’s also a backlash against diesels at the moment due to air quality issues, so petrol and electric power is more ‘in favour’. 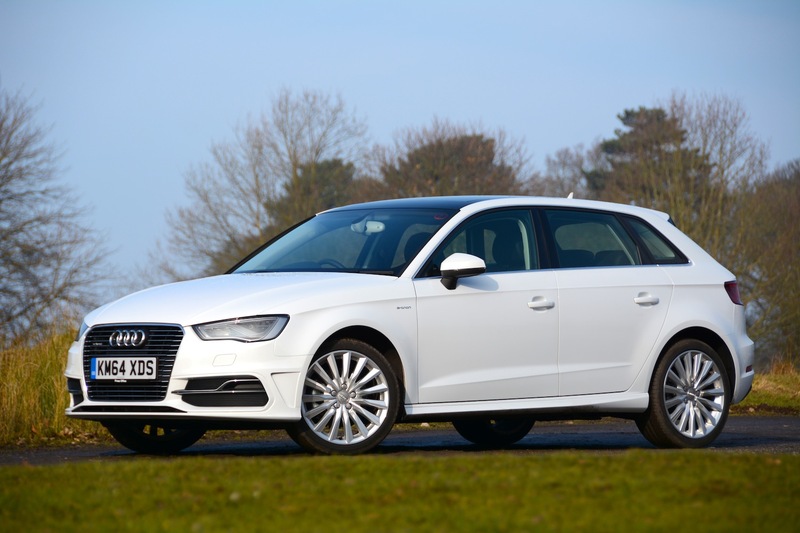 Therefore the Audi A3 Sportback e-tron is one of the best examples of what cars of the short to medium-term future will be like. 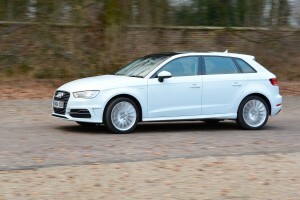 The A3 e-tron is a regular A3 to look at and drive, yet it also has electric-only ability. 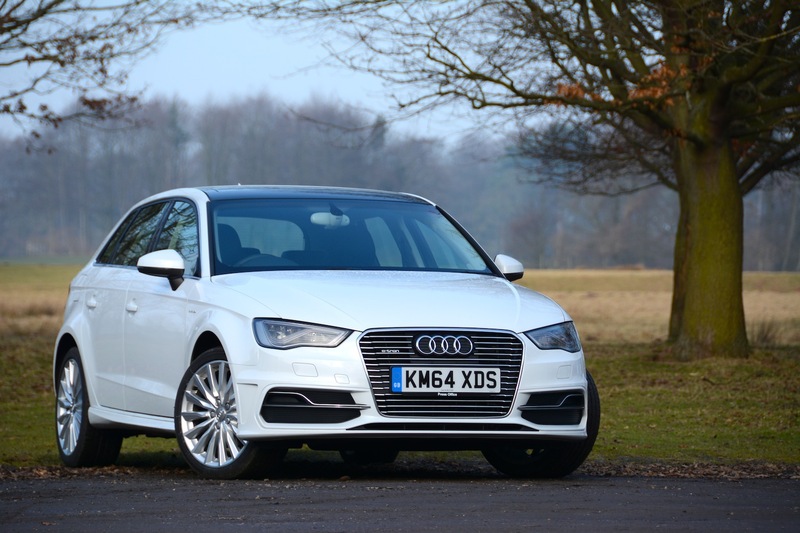 So if you regularly drive up to 30 miles between charges, with occasional longer journeys, and you want a premium five-door hatchback, then the A3 Sportback e-tron could provide a refined and economical means of transport. It’s also attractive for business users due to its low 5% benefit in kind company car tax. 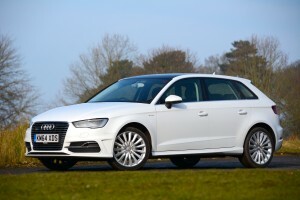 The main issues with the A3 e-tron are that it’s heavier than the regular A3 1.4 TFSI, it’s more expensive, and the real-life electric range is shorter than the official figure. But as an entire package, Audi has done pretty well with its first attempt. 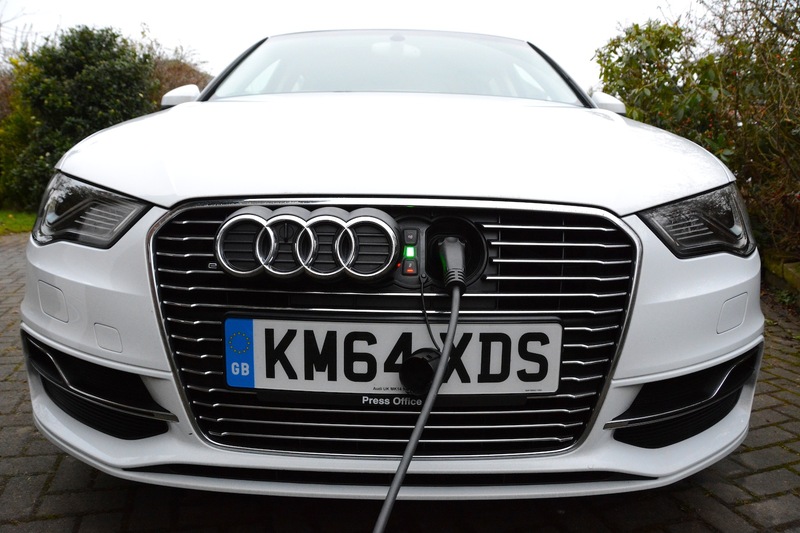 It’s a great way to get people to experience the benefits of an electric car, whilst also having the ability to drive over 400 miles before having to refuel the petrol engine – so there’s none of the range anxiety of a pure electric car. 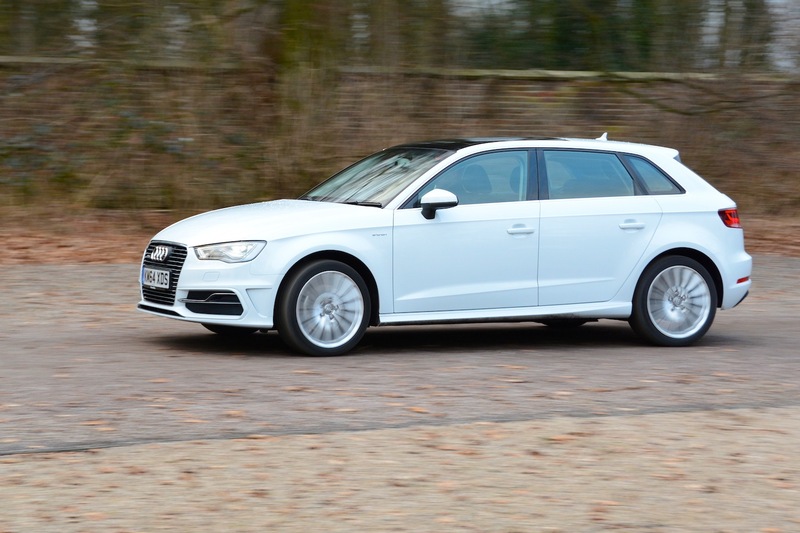 After living with the Audi A3 Sportback e-tron for a week, it maintains its ‘first impression’ score of a Green Car Guide rating of 9 out of 10.